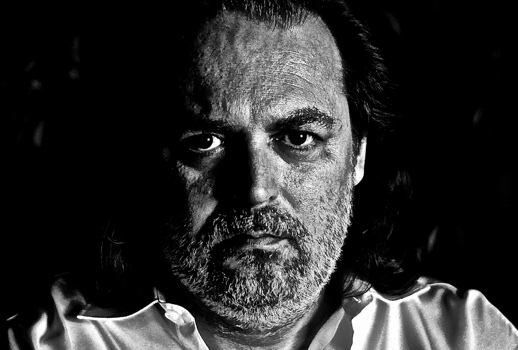 He started his singing studies in 1997 in Lecce under the guidance of the Soprano Maria Mazzotta. In 2004 he sang as Escamillo in Carmen in Spain, performing in 22 different cities. In 2006 he was the winner of the competition "Voci Verdiane" in Busseto. In February 2007, he debuted as Sharpless in Madama Butterfly at Teatro Alla Scala of Milan under M. Myung-Whun Chung’s conduction and under Keita Asari’s direction. During his co-engagement with la Fondazione Arturo Toscanini, he sang in the contemporary Liberovici’s opera, Titania la Rossa, under Giorgio Albertazzi’s direction. In the same year in April he debuted in the role of Ezio in Verdi’s Attila at Teatro Municipale of Piacenza with the conduction of M° Humburg and the director M° Pizzi. In July 2007, he debutted as Conte di Luna in Verdi’s Il trovatore with Fondazione Arturo Toscanini in Vigoleno and in Savona. In December 2007, he debuted in Macbeth with the co-production of the theatres Circuito Lirico Lombardo A. Ponchielli of Cremona, Grande of Brescia, Sociale of Como and Fraschini of Pavia. July 2008 saw his debut the role of Scarpia in Puccini’s Tosca at the Arena Sferisterio in Macerata under the conduction of M° Callegari and the direction of M° Gasparon. In September he debuted as Jach Rance in La fanciulla del West at the Royal Opera House of London conducted by M° Pappano and directed by M° Faggioni. During the season 2009 he sang Madama Butterfly in Macerata, I due Foscari in Parma directed by M° Renzetti and Il trovatore in Trieste. During season 2010/11, he sang in Aida at the National Teatre in Tokyo conducted by M° Placido Domingo, Tosca in Genoa and Naples, La favorite in Lima, Attila in Macerata, Otello at La Coruña Festival, Il trovatore in Parma, La bohème in Siviglia, Cavalleria rusticana at Teatro alla Scala in Milan, Samson et Dalila in Trieste, Tosca under the conduction of M° Aprea in Palm Beach, Lucia di Lammermoor and La traviata conducted by M° Palumbo at La Fenice in Venice, Tosca in Savonlinna and Aida in Taormina. In October 2011 he sang at the Zurich Staatsoper in the role of Jack Rance in La fanciulla del West, and in December he debuted at the Den Norske Opera in Oslo with Macbeth. In February 2012 he debuted at the Teatro San Carlo in Naples the role of Lord Enrico Ashton in Lucia di Lammermoor directed by M° Santi, and in March he sang Marcello in La bohème at the Teatro Regio in Turin. In April he debuted in Munich at the Bayerische Staatsoper with Otello (Iago), and in October the role of Barnaba in La Gioconda by Ponchielli at the Teatro dell’Opera in Rome. His debut in the role of Amonasro in Aida happened in Salerno conducted by M° Oren, in December 2012. In January he sang Otello at the Fondazione Petruzzelli in Bari, conducted by M° Keri-Lynn Wilson. Another important debut was at the Wiener Staatsoper, in February 2013, where Sgura sang the role of Barone Scarpia in Tosca. In April he returned to the Bayerische Staatsoper for Otello. Another important debut was at the Opéra National de Paris, where he sang Barnaba in the Ponchielli’s La Gioconda. In June 2013 he sang Cavalleria rusticana and Tosca in Rome at the "Terme di Caracalla" with the direction of Pierluigi Pizzi and conducted by Renato Palumbo. In September he debuted in Bilbao with Giovanna d'Arco directed by Gabriele Lavia and conducted by Yves Abel. In November he sang Amonasro in the production of Aida at the Teatro San Carlo in Napoli directed by Franco Dragone and conducted by Nicola Luisotti. In January 2014 he sang for the inauguration of the new theatre in Astana (Kazakistan) in the role of Ezio in Attila directed by Pierluigi Pizzi and conducted by Valery Gergiev. In February he sang La fanciulla del West in Paris directed by Nikolaus Lehnoff and conducted by Carlo Rizzi. In March, Attila in San Petrsburg with Valery Gergiev. The months that followed saw his debut in the role of Tonio in Pagliacci at the Teatro San Carlo in Napoli and the debut at Sydney Opera House as Iago in Otello. In the recent seasons he sang Scarpia in Tosca at Teatro Lirico di Cagliari, in Melbourne, Sydney, Rome and Turin, Iago in Otello in Stockholm, Luisa Miller in Napoli, Il trovatore in Beijing, Aida in Salerno, and he debuted the title role of Rigoletto in Bogotà. Moreover, he sang La fanciulla del West at La Scala with M° Chailly and he made his house debut at Hamburgische Staatsoper as Jack Rance in a new production of Puccini's title. Most recently, he played King Claudio in Faccio's Hamlet at the Bregenzer Festspiele. His future plans include Tosca in Oslo, Tokyo and Seoul, Otello in Hamburg, Samson et Dalila at Teatro Regio di Torino, La Wally in Piacenza, Modena and Reggio Emilia, Lucia di Lammermoor in Napoli.